The fundamental strategy should stay the same, but the company could be much different. Check out the latest earnings call transcript for Broadcom. 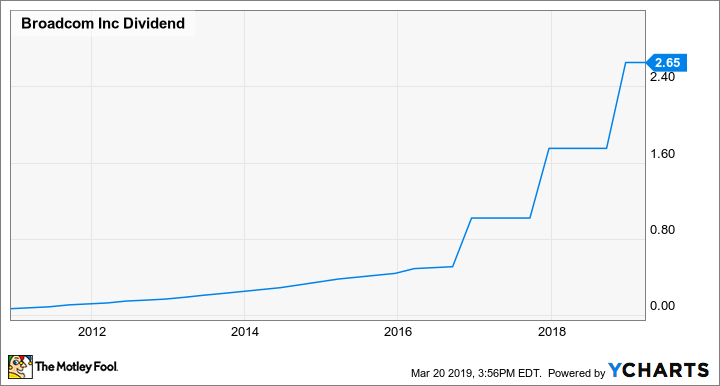 A while back, Broadcom tried to expand its semiconductor business by attempting to buy Qualcomm (NASDAQ:QCOM), which is the leading maker of smartphone applications processors and cellular modems. Broadcom, in my view, made Qualcomm and its shareholders a generous offer of $82 per share, which it then cut to $79 after Qualcomm announced that it was raising its bid to buy NXP Semiconductors (NASDAQ:NXPI).